The EU is preparing to negotiate two trade agreements with the US, contrary to pledges to only strike deals with countries committed to the Paris Agreement. 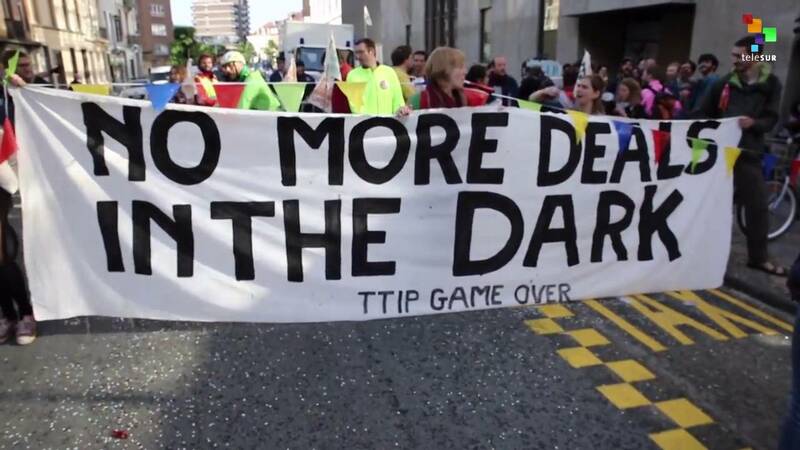 The move flies in the face of European moves to integrate trade and climate action. 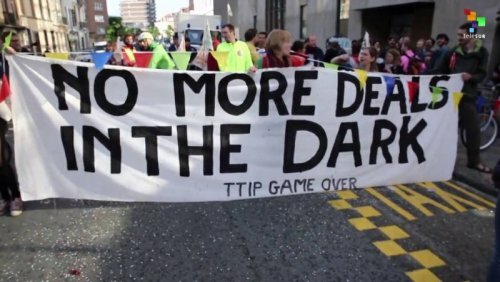 In July 2018, the European Parliament backed a non-binding resolution to “make ratification and implementation of the Paris Agreement a condition for future trade agreements”. The latest deals with Japan and Mexico made reference to the Paris Agreement. Trade commissioner Cecilia Malmström has asserted that the same applies to ongoing negotiations with South America’s Mercosur bloc. Amid US threats to slap tariffs on European car imports, however, the committee overruled climate concerns to press ahead with US talks. The chair of the committee, Bernd Lang, initially drafted a resolution rejecting the trade talks, citing “deep regret” over “the withdrawal of the US from the ‘Paris Agreement’”. US president Donald Trump has signalled his intent to pull out of the pact. Social Democrats (S&D), the Greens, the European United Left (GUE) and Europe of Freedom and Direct Democracy (EFDD) fought for a strengthened version of the passage on climate, a spokesperson for Green MEP Yannick Jaddot told Climate Home News. But the new text, pushed by the right-wing group European People’s Party (EPP), the Alliance of Liberals and Democrats (ALDE) and European Conservative and Reformists (ECR), inserts a caveat limiting the Paris condition to “comprehensive trade talks”. The “recommendations refer to a limited agreement and not a comprehensive free trade agreement; therefore considers that those agreements should represent an exception dictated by specific circumstances and in any case not a precedent for the European Union in future negotiations,” said the amendment, which just about scraped through. The French treasury has similarly equivocated, despite multiple calls by Emmanuel Macron to weaponize trade in defence of the Paris Agreement. Asked whether the French government intended to counter Brussels’ move to negotiate with the US, Pierre Chabrol, from the Treasury board, said that Macron’s commitments only applied to large trade deals like the Transatlantic Trade and Investment Partnership (TTIP). “The reach of these two [trade] mandates is more restrained and the situation is different,” he told Mathilde Dupré, a trade analyst for the Paris-based NGO Veblen Institute. “We are sacrificing a minimal commitment to enforce the Paris Agreement, all of that so that the Germans can continue to sell their big cars in the United States,” Dupré told CHN. France’s Ministry for the Ecological Transition did not respond immediately to CHN’s question on whether these comments represented the official view of the government. “It’s just an excuse from the French Treasury in my opinion,” Myriam Martins Gistelinck, the spokesperson on trade for Lang, told CHN. The committee resolution did call for a sustainability impact assessment on the deal, an analysis designed to measure the greenhouse gas effects of liberalizing trade that is compulsory to EU trade agreements, despite the Commission’s efforts to waive it. “They say that we can use the TTIP impact assessment as a basis, but that impact assessment does not include the EU’s Paris commitments,” Gistelinck said.